Examines youth mental health issues in California, focusing on at-risk youth and those already involved in the juvenile justice system. 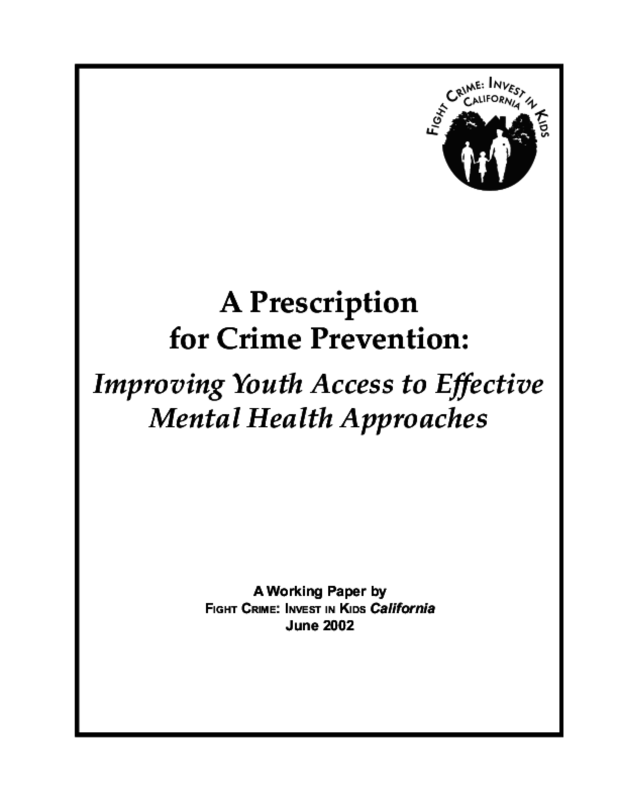 Offers eleven youth mental health programs and provides policy recommendations. Copyright 2002 Fight Crime, Invest in Kids.